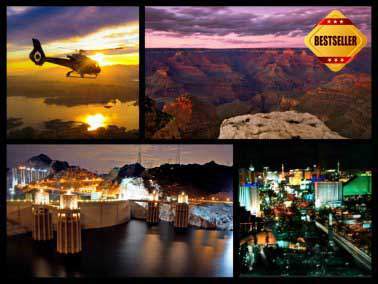 Here are the best Grand Canyon helicopter tours originating from Las Vegas! Helicopter flights to the Grand Canyon are extremely popular and shouldn't be missed while you are planning your Vegas vacation! Many of these exciting helicopter rides include landing and activities at the Grand Canyon - horseback riding, pontoon boat tours, white water rafting, overnight stay at a real cowboy ranch. 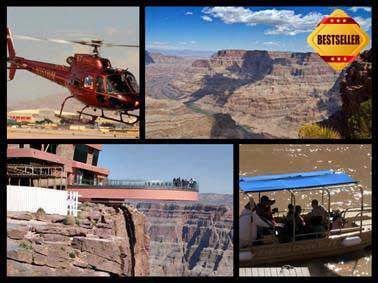 Review: The "All American" is the best Grand Canyon helicopter tour from Las Vegas! The tour to the West Rim with landing and picnic top my list because it deserved so many positive reviews that it's impossible to ignore them! "All American" is easily the most popular and convenient tour that includes a hotel pick up and drop off in a limo, and flying over the Grand Canyon and over the Las Vegas Strip on the way back. The tour offers 4 departure options from early morning to late afternoon. As you arrive to the Grand Canyon, your helicopter will land at the bottom where you will enjoy a yummy picnic with a bottle of champagne under a Ramada shelter. On the way back to Las Vegas, your helicopter will fly slowly above the Strip. 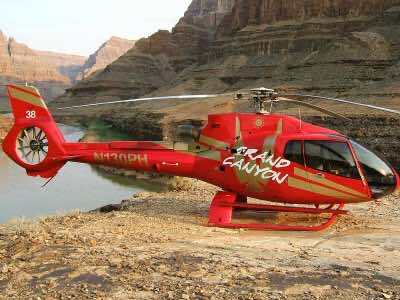 Currently, this is one of the most affordable Grand Canyon helicopter tours from Las Vegas, and the most popular one. Review: Is there a better way to celebrate, well, anything? Vacation in Las Vegas, helicopter tours of the Grand Canyon with a flight over Lake Mead, extinct volcanos and the Nevada desert, then a yummy picnic with a glass of real champagne at the bottom of the Canyon near the river, and finally a flight over The Strip! The champagne picnic at the Grand Canyon might be a perfect way to celebrate a birthday while in Las Vegas, or even to propose! If the Grand Canyon is breathtaking by day, imagine what it looks like during sunset! The canyon never looks the same - it's always different depending on the sun and angles of shadows Price From the clouds passing above. During your Grand Canyon Helicopter tours from Las Vegas during sunset - best time of the day - you will be able to witness the game of changing colors as you are having your picnic at the bottom of the Canyon, with champagne. A friendly pilot will answer any questions you may have about this natural wonder. 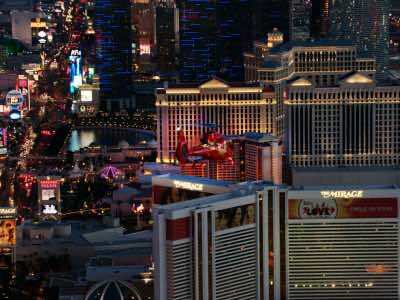 On the way back, your helicopter will fly low over the magnificent hotels as you watch the light show of the Strip down below, before you get a ride back to your hotel in a shuttle. These popular Grand Canyon helicopter tours from Las Vegas include the other much sought-after activity - a flight over Las Vegas Strip! 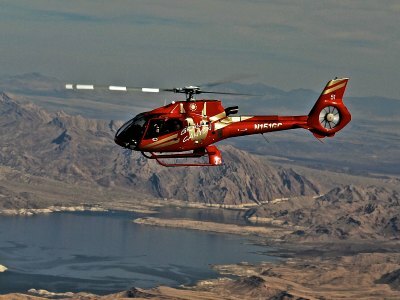 Fly above the desert floor in a helicopter and view the grandeur of Hoover Dam, Lake Mead and the stunning Grand Canyon. Your four hour journey starts with a hotel pick-up in a luxury limousine that takes you to our helicopter flight terminal in central Las Vegas. Next you will fly above the gorgeous landscape in an exclusive EC-130 helicopter. View the stupendous sites like Hoover Dam, Lake Mead and the Colorado River before landing on the West Rim of the Grand Canyon. Once at the West Rim you will have VIP access to the outrageous Skywalk that is a suspended glass bridge with never before seen panoramic views of the most intense scenery. No cameras are allowed on the Skywalk but your tour includes a souvenir photo of you. Return to Las Vegas by air and enjoy the pleasure of memories for a lifetime as you return to your hotel by VIP limousine. FAA requires government identification to board. If I had to pick one ultimate Grand Canyon helicopter tour, it would be this one - the tour that includes the best the city has to over. This helicopter tour include flights over the most prominent landmarks of the city: the Strip, Hoover Dam, Lake Mead, and, most importantly, the Grand Canyon. Note that this tour is quite fast and includes only aerial views and let you fully appreciate the wonder that is the Grand Canyon, and, if you select this option - The Strip! 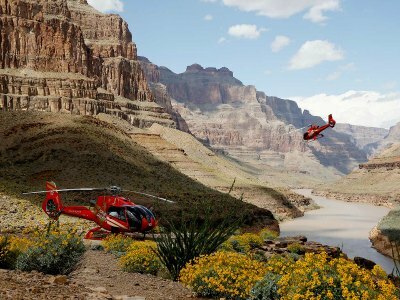 Review: These are the most fun, although definitely more expensive Grand Canyon helicopter tours from Las Vegas to the West Rim that includes a hotel pick up and drop off, a helicopter ride and landing at the bottom, a scenic boat cruise on the Colorado River and a bus tour around the canyon! When at the Grand Canyon, you will have some free time to explore this natural wonder on your own, or to try the Skywalk - the glass bridge that offers spectacular 720 degrees view of the canyon (paid separately). Your tour also includes a buffet lunch and a visit to Eagle Point where you can familiarize yourself with the Native American culture. 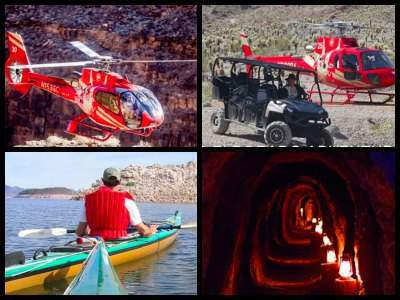 This is a very special tour that includes a helicopter flight over the Grand Canyon, and landing at the Eldorado Ranch located near Las Vegas, a guided excursion of the historical Techatticup Gold Mine that conceals a rich history of the Wild West - the site where biggest gold mining boom happened. 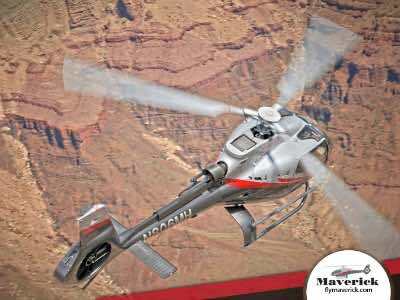 During these popular Grand Canyon helicopter tours leaving from Las Vegas you can view Eagle Point and Guano Point, and admire the Colorado River, volcanic Black Mountains and Grapevine Mesa. The helicopter will land on the floor of Eldorado Canyon, where Eldorado Ranch is located. Once at the destination, you will have a choice of Baja Jeep Tour, ATV's, Horseback or Kayak tour! This relaxing bus journey will take you to all the hotspots you want to see and experience when you leave the Strip. Your adventure begins with a photo stop at the O’Callaghan-Tillman Bridge, the second highest bridge in the United States. From here enjoy the relaxing drive through the Mojave Desert and Lake Mead before stopping at the West Rim of the Grand Canyon. Once at the West Rim you will take a Grand Canyon helicopter tour 4,000 feet down to the floor of the canyon. Here you will view the mighty Colorado River and cruise down the river for exclusive photos. Once back on the rim, you can enjoy lunch at one of three places; Guano Point, Cowboy Ranch or Skywalk. Enjoy personal time on this 12-hour tour as you explore the West Rim and perhaps walk-out onto the stupendous Skywalk glass suspended bridge. Finish your adventure with a quick bus ride home that will leave you dreaming of the wonderful experience you had within Indian Country and the Grand Canyon. Review: Grand Canyon is not something that you can fully appreciate during a couple of hours, and the observation decks don't offer the best views possible. 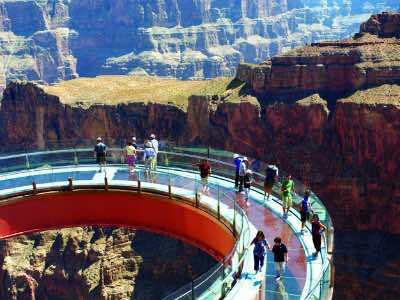 But the Hualapai Indian tribe that owns and operates the tourism zone of the Grand Canyon West have come up with the best solution - they built a Skywalk - a bridge with a glass floor, so you can see the canyon as birds see it - from above! The lines to get to the Skywalk are incredibly long, so if you don't have much time- these helicopter tours of the Grand Canyon are the fastestest way possible to get to the Grand Canyon West Rim, avoid the lines on the Skywalk and quickly get back to Las Vegas to catch a show or continue with your other plans. 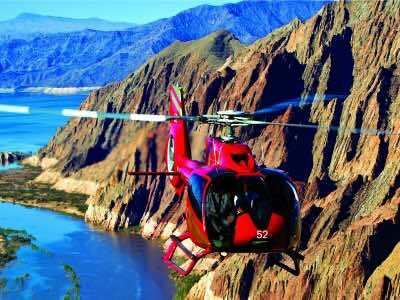 This full-day helicopter tour from Las Vegas offers incredible views of the Grand Canyon, Hoover Dam, Lake Mead; plus landing at the bottom, a boat ride down the Colorado River, and an express VIP entry to the world-famous Skywalk. 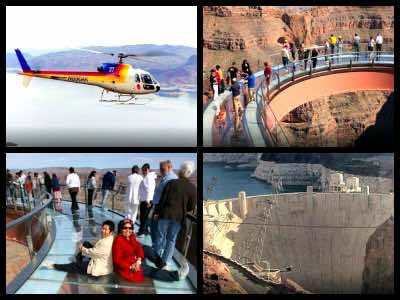 The Grand Canyon Helicopter tours from Las Vegas with Skywalk and a pontoon boat ride offer two unique perspective of the Grand Canyon - two different, fabulous views from the bottom and from above! One of the best Grand Canyon helicopter tours which combines the built environment of Sin City and the natural landscape of the Grand Canyon is to take the Golden Eagle and the Las Vegas Strip Tour. This 3.5-hour adventure starts with complimentary hotel pick-up service where you will be driven to board a state-of-the-art sightseeing helicopter. After an adrenaline filled take-off you will gaze downward on fantastic places such as the Hoover Dam, Lake Mead and the Mojave Desert. You will quickly approach one of the Seven Natural Wonders of World when you start to soar above the mystical Grand Canyon. The aerial views that are afforded to you are spectacular and you can be assured of seeing some of the most unique scenery in the world from a bird’s eye prospective. After flying through the canyon you will head back to Las Vegas, where you will see the grandeur of Sin City from an unusual aerial vantage point. 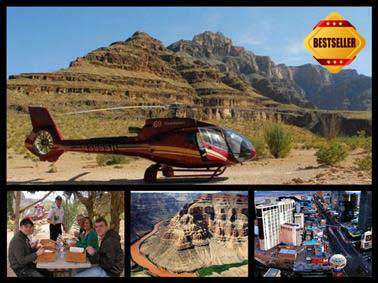 Your Grand Canyon Helicopter tour concludes with complimentary drop-off service to your hotel. The Golden Eagle Air Tour is an ideal Grand Canyon helicopter tour for people that want to see the Grand Canyon with an amazing aerial view. This 4-hour journey starts with free hotel pick-up service and transportation to a specialized sightseeing helicopter. During take-off you will feel the adrenaline when you start to soar into the blue sky. While flying you will have excellent views of the Hoover Dam, Mojave Desert and Lake Mead before you reach the Grand Canyon. Here at the canyon you will fly above peering downward at on the most enchanting natural wonders of the world. You will be delighted with aerial views from above and the photograph opportunities are endless. Your excursion concludes with another fly over of the Mojave Desert and drop-off service back at your hotel. 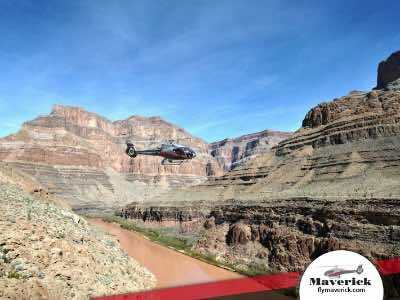 If you want to raise your adrenaline level to a new high then a perfect Grand Canyon helicopter tour for you to try is the Grand Celebration Tour. This 4.5-hour adventure begins with complimentary pick-up service at your hotel where you will be transported to board a customized sightseeing helicopter. As you soar above the Mojave Desert, the Grand Wash Cliff, the Grapevine Mesa, Lake Mead and Hoover Dam you will be in awe when you reach the West Rim of the Grand Canyon. Here your pilot will soar downward until you are 4,000-feet below the canyon rim. While you are gazing at one of the Seven Natural Wonders of the World you will be treated to a picnic lunch with a champagne toast next to the mighty Colorado River. After you are finished taking photographs you will fly back to the West Rim and head onward to Las Vegas where your excursion concludes with drop-off service to your hotel. When want to get up in the sky and explore the surrounding area of Las Vegas and the Grand Canyon then a great Grand Canyon helicopter tour for you is the Grand Celebration and Las Vegas Strip Tour. Your 4-hour journey begins with limousine pick-up service at your hotel where you will be driven to board a specialized sightseeing helicopter. Once in the air you will soar over spectacular places such as the Hoover Dam, Lake Mead, Fortification Hill and the Mojave Desert before you reach the West Rim of the Grand Canyon. Here at the Grand Canyon your pilot will lower the chopper 4,000-feet below the rim and land on the canyon floor. You will indulge in a free picnic lunch with a champagne toast while you ponder the majestic natural scenery of the Grand Canyon and the Colorado River. On your way back to Las Vegas you will fly over the Strip for breathtaking views of Sin City. Your excursion concludes with limousine service back to your hotel. 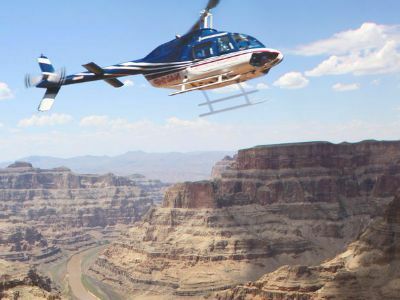 One of the most adventurous Grand Canyon helicopter tours for travelers looking to explore the Grand Canyon and make an exciting off-road journey is to take the Grand Celebration and Eldorado Canyon Tour. Your 8-hour exploration starts with free pick-up service at your hotel where you will be taken to Boulder City to board a customized helicopter. After take-off you will have a bird’s eye view of the Hoover Dam, Lake Mead and the Mojave Desert as you fly towards the West Rim of the Grand Canyon. Once at the Grand Canyon your pilot will descend 4,000-feet to the canyon floor. Here you will be treated to champagne picnic next to the Colorado River. Continuing on your journey by ascending to the top of the canyon and flying to Eldorado Canyon where you will change your mode of transportation. You can choose to travel off-road to the historic Techatticup Mine by way of ATV or in a Baja Jeep. Once at the mine you can indulge in a box lunch and another champagne toast while you learn the history of the area. Your explorations for the day conclude with a helicopter flight back to Boulder City and hotel drop-off service. 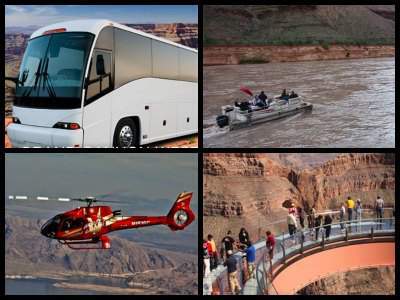 When you are ready to explore the scenery that surrounds Las Vegas and make a stop at the Grand Canyon then an ideal Grand Canyon helicopter tour for you is the Celebration Tour. Your 4.5-hour journey begins with complimentary hotel pick-up service where you will be taken to Boulder City to board a customized sightseeing helicopter. Shortly after take-off you will view highlights of the area such as the Hoover Dam, Lake Mead, the Grapevine Mesa and the Grand Wash Cliffs as well as the Colorado River. Once at Grand Canyon West you can gaze downward at Guano Point and Eagle Point. You will land for a short time on the West Rim where you will 30-minutes to explore the intricate arts and crafts of the Hualapai Indians. After you take some more photographs you will soar back to Boulder City and your excursion concludes when you are dropped-off at your hotel. 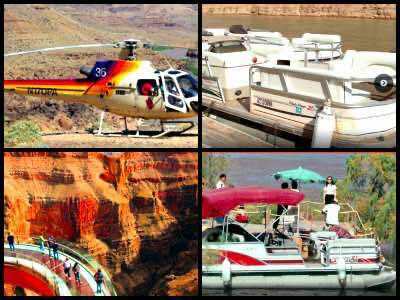 One of the most complete Grand Canyon helicopter tours which is ideal for all travelers including families is the Grand Voyager Tour. This 7-hour adventure starts with free hotel pick-up service where you will be transported to board a state-of-the-art sightseeing airplane. 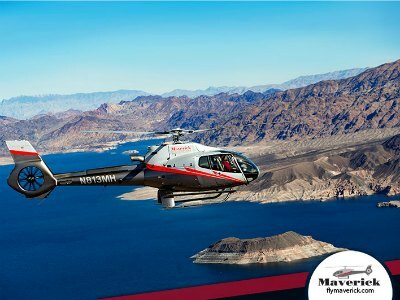 After take-off you will have a bird’s eye view of the Mojave Desert, Hoover Dam, Lake Mead and the Colorado River. You will land on the West Rim of the Grand Canyon where you will take an exciting helicopter flight some 4,000-feet down into the canyon. Once on the canyon floor you can gaze upward at the splendor of this natural wonder. After a few photographs you will start your next adventure by boarding a pontoon boat and float down the mighty Colorado River. The fun continues with a helicopter flight back to the West rim where you can explore Guano Point and Eagle Point via a complimentary hop-on/hop-off shuttle bus. You won’t hungry as a light meal is served during your outing. Your tour concludes with a flight back to Boulder City and a ride to your selected hotel. 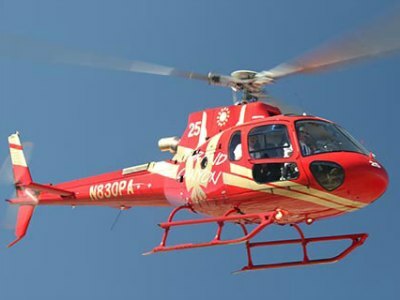 One of the best Grand Canyon helicopter tours to experience the Grand Canyon and the surrounding scenery of Sin City is to take the Wind Dancer Tour. This 4-hour excursion starts with free hotel pick-up service and after you board a custom built sightseeing helicopter you will fly above such highlights as the Mojave Desert, Lake Mead, fortification Hill and the engineering marvel Hoover Dam. Once at the Grand Canyon you will have an incredible bird’s eye view of one of the Seven Natural Wonders of the World. Your pilot will land 3,500-feet below the canyon rim where you will enjoy complimentary snacks, beverages and even a champagne toast while you ponder the natural landscape next to the Colorado River. On your return flight you will see the Bowl of the Fire and soar above the Las Vegas Strip. Your journey concludes with complimentary drop-off service at your selected hotel. One of the more romantic Grand Canyon helicopter tours to take which will have you flying over the Strip and the Grand Canyon is the Wind Dancer Sunset Tour. Your 4.5-hour journey starts with complimentary hotel pick-up service. You will board a custom built sightseeing helicopter and take-off flying over the Strip. Highlights of your flight will include Hoover Dam, Lake Mead, the Mojave Desert as well as Fortification Hill. When you reach the Grand Canyon your pilot will take you deep into the canyon and land some 3,500-feet below the rim. Here you will have some time to relax with beverages, a champagne toast and appetizers while you stand just above the roaring Colorado River. On your flight home you will see the beauty of the Bowl of Fire and as the sunsets the sky will turn into a canvass of pastel colors. An added bonus on this excursion is that you will experience flying over the lights on the Strip on your return to Las Vegas. Your romantic adventure concludes with complimentary drop-off service at your hotel. 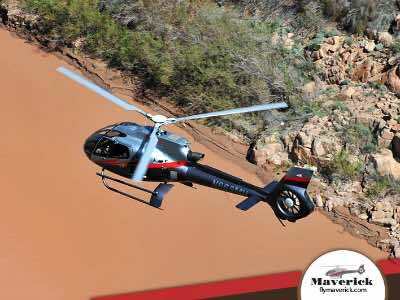 If you want to add some adrenaline to your day then a perfect Grand Canyon helicopter tour is the Skywalk Odyssey Tour. This 5-hour adventure begins with complimentary hotel pick-up service and after you board your custom built sightseeing helicopter you will soar into the skies above Las Vegas. On you way to the Grand Canyon you will have a bird’s eye view of Lake Las Vegas, the Mojave Desert, Lake Mead and marvel at the engineering of the Hoover Dam. Once at the Grand Canyon you will fly over this natural wonder experiencing incredible once-in-a-lifetime views. 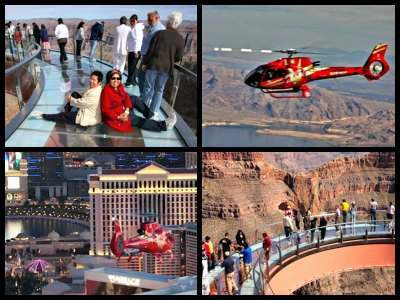 You will land at the West Rim for your next adrenaline filled VIP walk on the Grand Canyon Skywalk glass bridge. Suspended 4,000-feet above the canyon floor this structure is truly a feat of engineering. Added bonuses at the Skywalk include a souvenir photo and expedited entry onto the bridge. After spending 45-minutes on the ground you will fly back to Las Vegas and conclude your adventure with free drop-off service at your hotel. When you are searching for a quick way to see the Grand Canyon and the surrounded area, then a perfect Grand Canyon helicopter tour for you is the Silver Cloud Tour. Your 3.5-hour journey begins with complimentary hotel pick-up service. 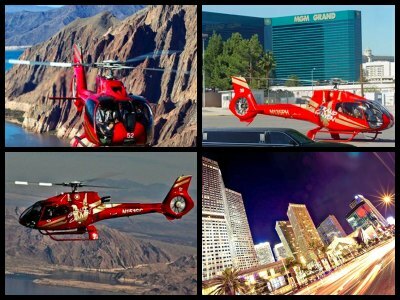 After boarding a custom built sightseeing helicopter you will take-off and soar above the Vegas skies. On this excursion you will have the opportunity to view all the important highlights such as Mojave Desert, Lake Mead, Hoover Dam and the extinct volcano known as Fortification Hill. Once at the Grand Canyon you will soar above this natural wonder while having a bird’s eye view of the interesting geologic features. When you reach Sin City you will fly over Strip and your adventure concludes with free drop-off service at your hotel. 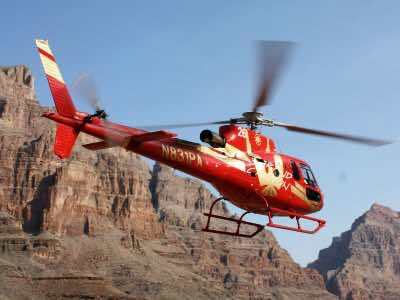 A fascinating Grand Canyon helicopter tour which will have you learning about the Indians of the Grand Canyon and have flying above the Grand Canyon is the Indian Territory Tour. This 7.5-hour experience begins with complimentary hotel pick-up service where you will be driven to board your awaiting helicopter. You will take-off flying over Lake Mead, the Hoover Dam and the extinct volcano named Fortification Hill. After arriving at the Grand Canyon your pilot will descend 3,500-feet into the canyon and land within the Hualapai Indian Territory. While soaking in the natural wonder you can indulge in a free beverage or champagne toast standing 300-feet above the mighty Colorado River. You will soar back up into the sky and take in all the scenery along the West Rim which includes Eagle Point. Here you will learn more about the Hualapai Indian tribe and at Guano Point you can eat a complimentary lunch. An optional add-on activity is a walk on the Grand Canyon Skywalk glass bridge that is suspended 4,000-feet above the canyon floor. On your flight home you will experience the Bowl of Fire and a flyover of the Las Vegas Strip before arriving back at your selected hotel. One of the best ways to get out of Sin City for a day while enjoying the natural wonders of the Grand Canyon along with an adrenaline filled helicopter ride and great western food is to take the Grand Canyon Western Ranch Experience with Helicopter Tour and Optional Horseback Ride. Your 8-hour journey starts with complimentary pick-up service at your hotel and transportation to the Grand Canyon Western Ranch in Meadview, Arizona. On your journey you will see highlights like the Hoover Dam, Lake Mead and the Joshua Tree Forest. Once at the 165-square mile ranch you will board a wagon and be transported to your helicopter. After take-off you will fly 1,500-feet below the rim while you take in the incredible natural wonders of the Grand Canyon and Colorado River. Back on the wagon you will be transported through the ranch that was once part of the Mormon Trail while listening to stories from your guide. When you reach the Wellington Starkey homestead you are treated to a full cowboy cookout complete with more entertainment and stories of the local Indian tribes. There is a great add-on option for this excursion. After lunch you can take a 45-minute horseback riding cowboy safari to see buffalo roaming the range as you ride along the historic Mormon Trail. Your Grand Canyon helicopter tour concludes with drop-off service back at your hotel. There's little in this world that is as gorgeous as the Grand Canyon - now imagine looking at this beauty from a bird's eye view! All trips include pre-recorded and live narrations by pilots/tour guides. No matter which Grand Canyon Helicopter tours from Las Vegas you choose - friendly pilots do everything to make your experience unforgettable!